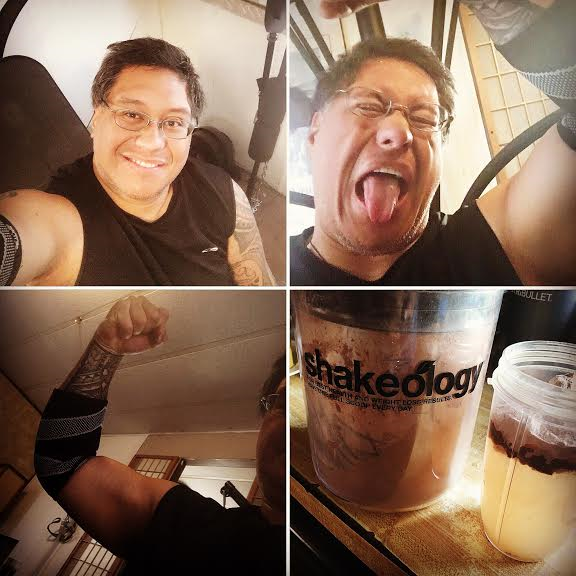 WAIPA IN REAL LIFE: ANOTHER FUN WORKOUT WEDNESDAY AND A COOL VIDEO I HAD TO SHARE!!! ANOTHER FUN WORKOUT WEDNESDAY AND A COOL VIDEO I HAD TO SHARE!!! 4 MORE DAYS TO GO AND I'M BACK WITH MY KAHEALANI!!! THE PICTURE ABOVE IS PINNED TO MY WALL IN MY BEDROOM SO WHEN I WAKE UP, I SEE HERE FIRST THING, SHE IS MY INSPIRATION AND MOTIVATOR!!! FOR THIS WEEK I EXCLUDED ALL REST DAYS FOR THIS WEEK AND SCHEDULED MYSELF TO WORKOUT 4 DAYS STRAIGHT ALTERNATING "UPPERBODY" & "LOWERBODY" BECAUSE I'LL BE ON TRAVEL STATUS!!! THANKS TO ALASKA AIRLINES BENEFITS!!! AND TODAY I DID UPPERBODY AND I TOOK MY TIME JUST TO BE TO PERFORM EACH EXERCISE TO PROPER FORM AND IT'S WEEK 4 FOR ME AND MY STRENGTH IS DEFINITELY BUILDING FAST!!! I'M GETTING BACK MY DEFINITION IN MY ARMS AND BACK ALREADY!!! WHEN I RETURN IN APRIL... I'M STARTING ON ANOTHER "HYPERTROPHY" STRENGTH TRAINING, ITS MORE ADVANCE AND VERY DEMANDING WHICH MEANS I'LL UPPING MY WHEY PROTEIN AND CREATINE!!! IM ALSO GOING TO FOCUS AND MASTER MY "MACROS" TOO!!! TO THOSE WHO ARE CURIOUS ABOUT MY DAILY SCHEDULE, HERE IS WHAT A NORMAL DAY LOOKS LIKE IF I HAVE NO AGENDAS. REPEAT FOR 5 DAYS AND REST ON WEEKENDS!!! I'M FINALLY GOT MY ROUTINE SET IN AND I'M ADJUSTING VERY WELL AND RESULTS!!! AND MY SURPRISE VIDEO FOR ALL OF YOU TO ENJOY!! !